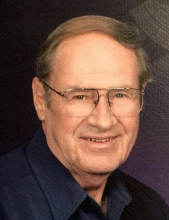 John David Fitzsimmons, 82, passed away peacefully at home in Watertown with family by his side on Wednesday, March 13, 2019. John was born in Dodgeville to Louise and John Fitzsimmons. He was a rambunctious kid who spent many summer days outside getting into trouble or hunting in Mineral Point/Dodgeville with family and his Uncle Edgar Fitzsimmons. Bored and needing further adventures, John enlisted in the United States Army at 17 and found himself overseas in Korea and Japan after the armistice. His intelligence and personality gained him entry into the Honest John artillery system, the first nuclear-capable surface to surface rocket in the United States arsenal. Dad always had a smile when he retold his experiences with that time of his life. John ultimately retired from the Wisconsin Army National Guard having reached the rank of first sergeant and then E-8, an expert in the TOW and M-60A3 systems. Settling down after Korea, John married Nancy (Luebben) and began a family. He adopted Sandra and Cheryl as his own and had two more children: Corinne and John Jr. They all moved to Hartford and had a beautiful horse ranch with Arabian horses, cats, dogs, cows, guinea pigs, etc. It was a menagerie. They lived with this zoo for over 20 years before moving to Sun City, Arizona, for winter and Watertown for summers. He is survived by his wife Nancy; children Sandra, Cheryl (Jack), Corinne and John (Jackie); sisters Nancy and Cindy as well as seven grandchildren and six great-grandchildren. He lived a good, honorable life and will be missed by many. A private Mass of Christian Burial was conducted at St. Bernard's Catholic Church on March 18, 2019. To send flowers or a remembrance gift to the family of John David Fitzsimmons, please visit our Tribute Store. "Email Address" would like to share the life celebration of John David Fitzsimmons. Click on the "link" to go to share a favorite memory or leave a condolence message for the family.